I listened to a podcast interviewing Charles Duhigg two years ago and in the course of his interview he introduced the concept of disfluency. 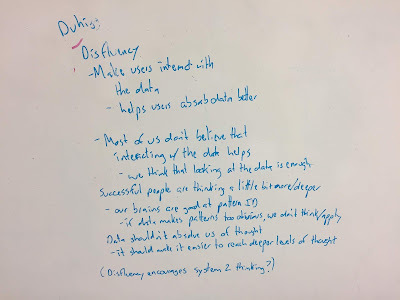 The idea struck me strongly enough that I listened to the interview at least twice and scribbled down my impressions on the dry erase board in my office. I finally read the book which contains the thoughts that Duhigg discussed in the podcast. 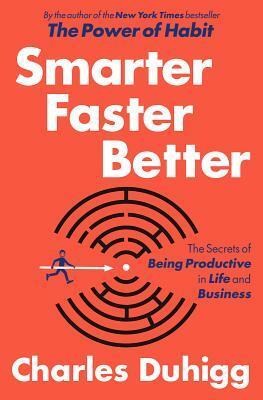 The book, Smarter, Faster, Better, contains eight chapters and each chapter has a theme on how to make ourselves and smarter, faster, and better at what we do. I'll list the eight chapter subjects but there are few concepts that I found most impactful for me. If you see a topic in the list that interests you, then I recommend reading the book so you can see what Duhigg's well-researched and engaging writing has to offer. Chances are that he'll give you new insight into relevant research and summarize it well. To boot, there is an extensive appendix that was inspired by Duhigg's efforts to implement in his own life what he learned while researching the book. That's my job: To protect people's distinct voices, but also to get them to work together. I want to preserve whatever made each person special before they came to the show, but also help everyone be sensitive enough to make the rough edges fit. But that works only when people feel like they can trust one another. It only succeeds when we feel psychologically safe. Our teams can be more productive and successful when we cede some control and nurture the voices and best selves of each member. We don't have to get along as long as we can be respectful and sharing. I have one brief comment about chapter six on decision making. 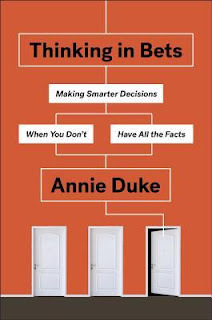 I'm just going to leave it brief because I want to revisit this topic more in depth after reading Annie Dukes' book, Thinking in Bets. In this chapter Annie talks about how she works through decisions at the poker table. To be elite, you have to start thinking about bets as ways of asking other players questions. Are you willing to fold right now? Do you want to raise? How far can I push before you start acting impulsively? And when you get an answer, that allows you to predict the future a little bit more accurately than the other guy. Poker is about using your chips to gather information faster than everyone else. How do we make decisions in competitive situations? What information are we gathering by committing to those decisions? Are we doing more in decision making than just trying to win? Chapter eight on absorbing data contains the idea that intrigued me the most, that of disfluency. The idea sits in contrast to fluency. When we are fluent, we speak or act without needing to think. I think of this as mainly Kahneman's type 1 thinking (from Thinking Fast and Slow). We don't need to engage our conscious brains much to deal with situations, we move through them smoothly with minimal mental exertion. Duhigg argues that there is value in creating disfluency, or a state that forces us to engage with the data we want to absorb (Kahneman's type 2 thinking). "There is a difference between finding an answer and understanding what it means." If we don't have to engage with the answer, then we may have it but we fail to understand its value or its application in other places. This happens because there is a difference between knowing an answer and understanding that answer. Our schooling tends to reinforce only knowing answers and generally puts less of a premium on understanding them. Duhigg gives a fairly simple method: "When we encounter new information and want to learn from it, we should force ourselves to do something with the data." I don't think that this means that we should make data harder to obtain or more cryptic in its presentation. I think that it means that we present data and then talk about it or apply it to a live situation in practice. 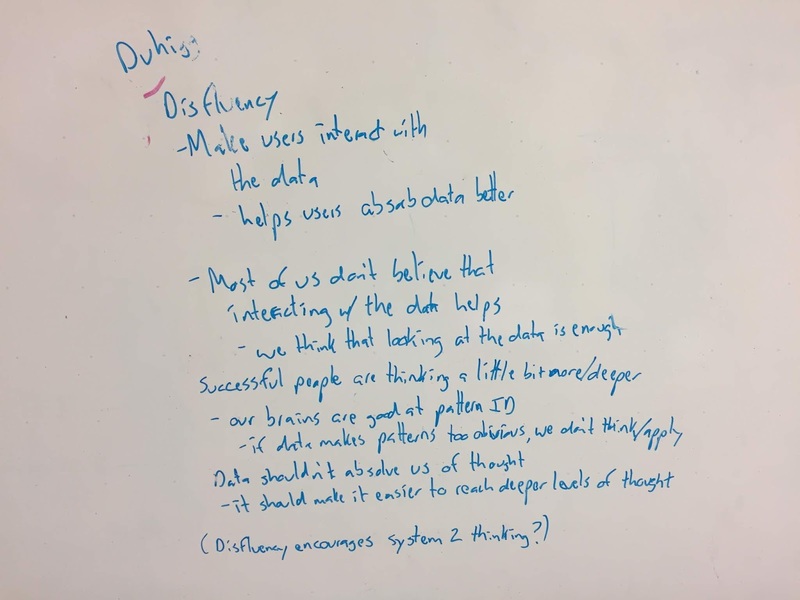 "Whether we use the engineering design process or test an idea at work or simply talk through a concept with a friend, by making information more disfluent, we paradoxically make it easier to understand." The data represents the beginning of a discussion rather than the end of one. I want to use data as a means to an end, like improvement in skill execution, rather than an end in itself, like deciding that one player is better than another. Looking at data, numbers or otherwise, isn't enough. Knowing the data doesn't absolve us from thought, it should make motivate us to reach deeper levels of thought and understanding. My dry erase board in 2016. It patiently waited until 2018 for me to give it the attention it deserved.